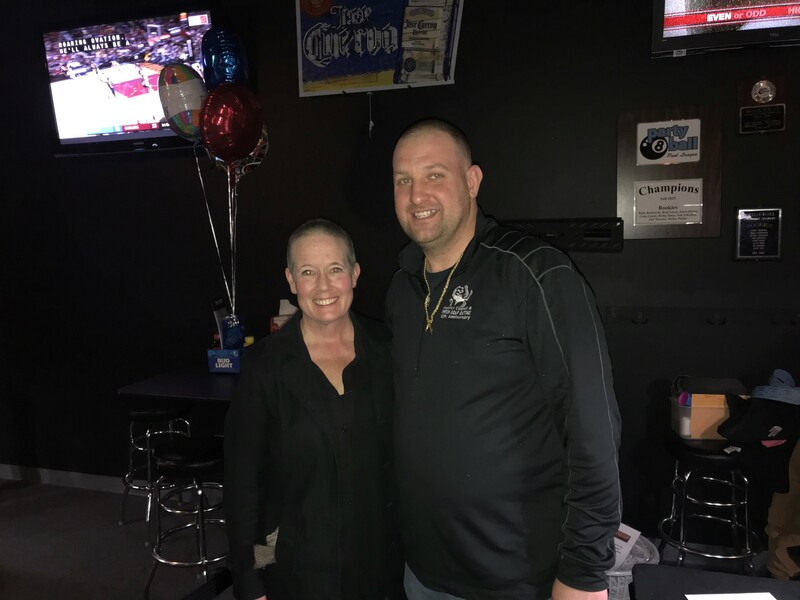 On March 3, 2018, the members and families of IUPAT District Council 6 came together to support DC 6/LU 181 (Cleveland) member Kelly DeCrane in her battle with breast cancer. The Glaziers’ Go Pink for Kelly DeCrane Fundraiser hosted by the Young Lions at Rookies Sports Bar and Grill in Parma Heights, Ohio, was a huge success. The council raised $26,000 through the sale of tickets and over 60 donated baskets. LU 181 member Kelly DeCrane (Glaziers, LU 181) with Dave Karn, (Glaziers LU 181, member and Chairman of the DC 6 Young Lions. )and DC 6 Young Lions Chairman Dave Karn at the Glaziers’ Go Pink for Kelly DeCrane Fundraiser in Parma Heights, Ohio.